It’s an absurd claim that reporters peddle from time to time. While there hasn’t been a full-fledged war between Israel and the Gaza-based Palestinian terrorists since 2014, the idea that a “relative calm” exists is simply not true. 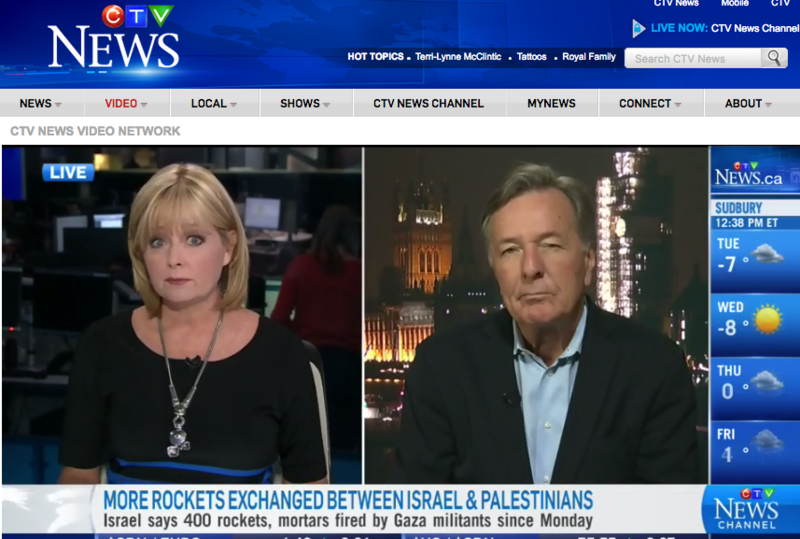 This contention was made on November 13 by CTV News Anchor Beverly Thomson (pictured above) in a tape-talk with CTV journalist Paul Workman who was reporting from London on the recent hostilities between Israel and Hamas. In reality, Israel hasn’t enjoyed a day of “relative calm”. Palestinian-initiated violence directed at Israeli soldiers and civilians continues unabated. This is just a short list going back to just September 14 and we have omitted many of the daily terror attacks carried out by Palestinian terrorists. For CTV News and for other media outlets to dare to claim that a “relative calm” has ever existed is without foundation.